There is a big difference between making someone tired and making someone better. Running up and down the stadiums and doing 100 burpees may make you really tired but are you really getting any stronger? Maybe, maybe not. 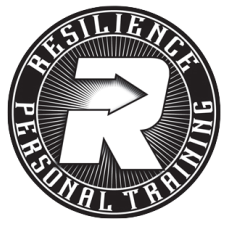 Here at Resilience Personal Training we design you a program, chart your workout, and use progressive overload to make sure you are always making gains. “Progressive Overload” is a fancy way of saying that we add resistance gradually to increase muscle growth. Our small class sizes give you tons of personal attention at an amazing value and it is not uncommon to see group members sharing healthy recipes and encouraging each other after class and through our private Facebook group. Contact us for current pricing and packaging.